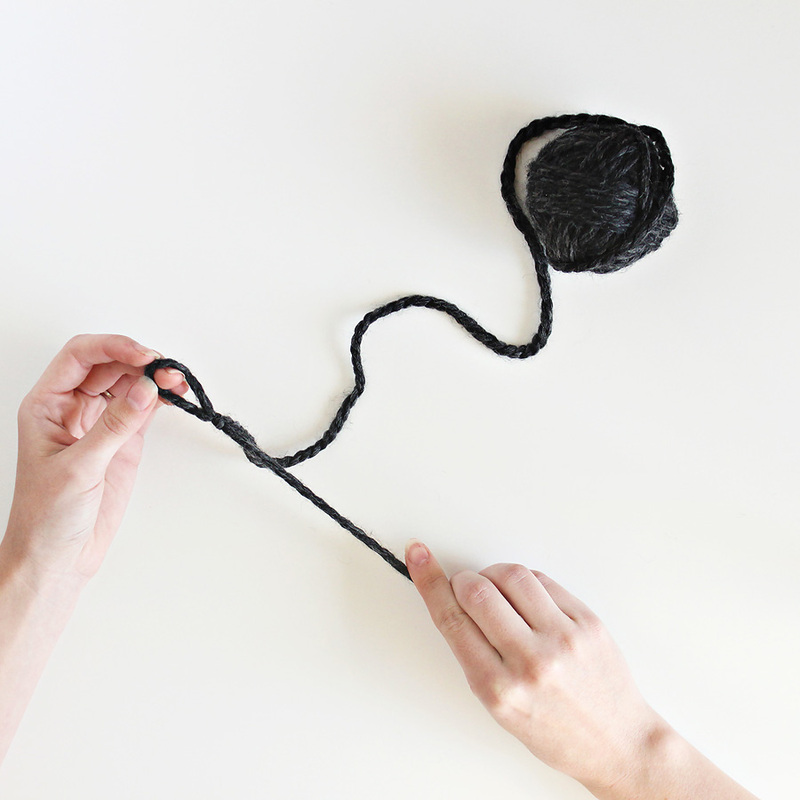 how to wind a center pull ball of yarn by hand. One of my silly pet peeves is when I am trying to use up a ball of yarn and it rolls around all over the place, sometimes off the couch and clear across the room (yes it has happened before). I know that there are super cute fancy yarn bowls out there designed to fix such a problem and probably any bowl would do the trick. But a while ago (last winter when my shop was actually pretty busy and I was going through yarn like it was nobody's business) I was finding myself in a massive scrap yarn problem, and I stumbled across this little nifty trick on how to wind them up differently so they would unravel from the inside out, making them a center pull ball of yarn once again! It's awesome. You kinda feel like you just bought a brand new skein. So go ahead and grab your scrap yarn. I'll wait here. No worries. Take your time. First things first, make a slip knot. 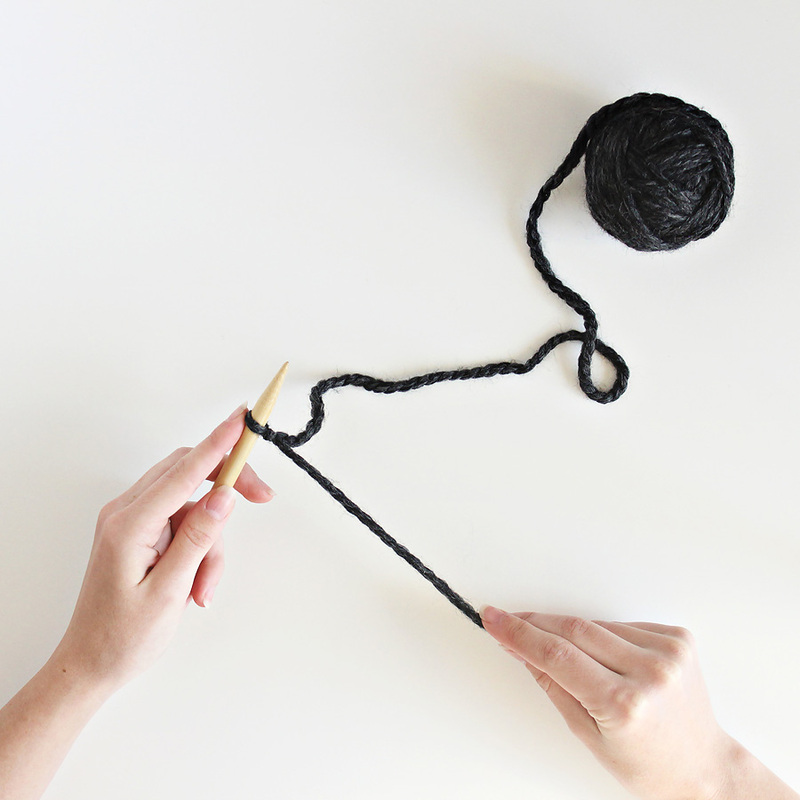 Grab your knitting needle (or crochet hook or pencil or whatever comparable that will get the job done) and slide the slip knot onto the top half. On the other half of the needle you are going to wrap the yarn around just as if you were winding a regular ol' ball of yarn. So just take the side with the slip knot into your right hand and then on the left half of the needle, start wrapping around. Just work around the needle and change up the angles as you go (like you normally would when you wind a ball of yarn). Do be careful to not wrap over the loose side with the slip knot because this is the piece that makes it a center pull ball of yarn, making it so it can unravel from the inside. When you reach the end, take that tail of yarn and tuck it under a stack of the other strands to hold it in place. And then slide your incredibly fancy, new ball of yarn off the knitting needle. Undo your original slip knot. And then taa daa!! You have a center pull ball of yarn. Welcome to a world with no more struggles against your yarn ball trying to roll around like crazy while you're busy trying to create awesome things. You're welcome.